Before 2014 closes, I would like to share one of my online and blogging highlights this year. 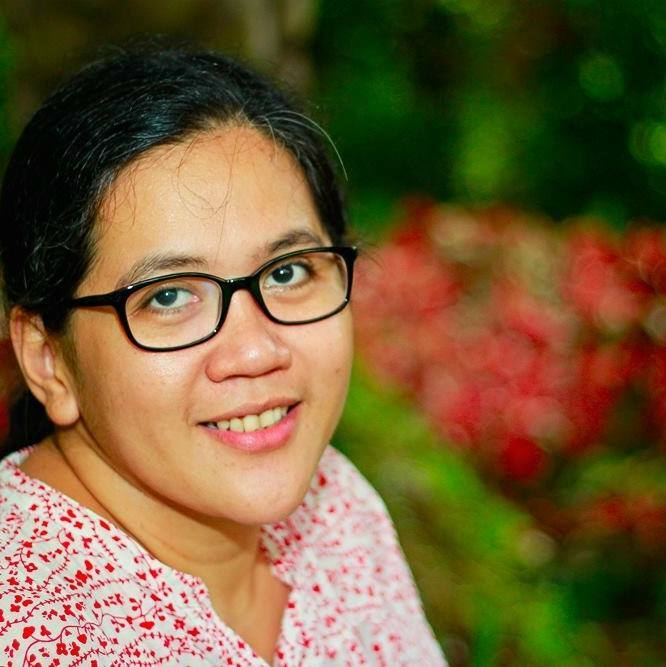 I'm very grateful and blessed to be part of Mommy Bloggers Philippines, a growing and helpful community of mommy bloggers. My day is not complete without checking and reading new blog posts in our group's Facebook page. Scrolling down MBP's timeline is now part of my daily online routine. This group has also given me a lot of new things to look forward to in terms of blogging, finding new friends and pursuing new passions in life. Thanks Mommy Lani for organizing this group and for making mommy blogging (yes, I just made it a verb!) a more wonderful and fun experience for all of us. Let me share my 5 most wonderful and memorable moments during (and even after) MBP's Christmas Party. 1. I came to a party with make-up on! This is very new for someone who does not own even a single lipstick and can survive a day without brushing her hair! Thanks to Dindin, my MUA niece for making me look neat and presentable for the party. Nanaystrip Update: I now have a "kikay kit" that includes a lipstick ( a Christmas present from my niece), a lip gloss ( from fellow blogger and new friend Jho) and a compact powder (binili ko na 'to). I plan to use this more often this 2015. 2. Gifts, gifts and more gifts! 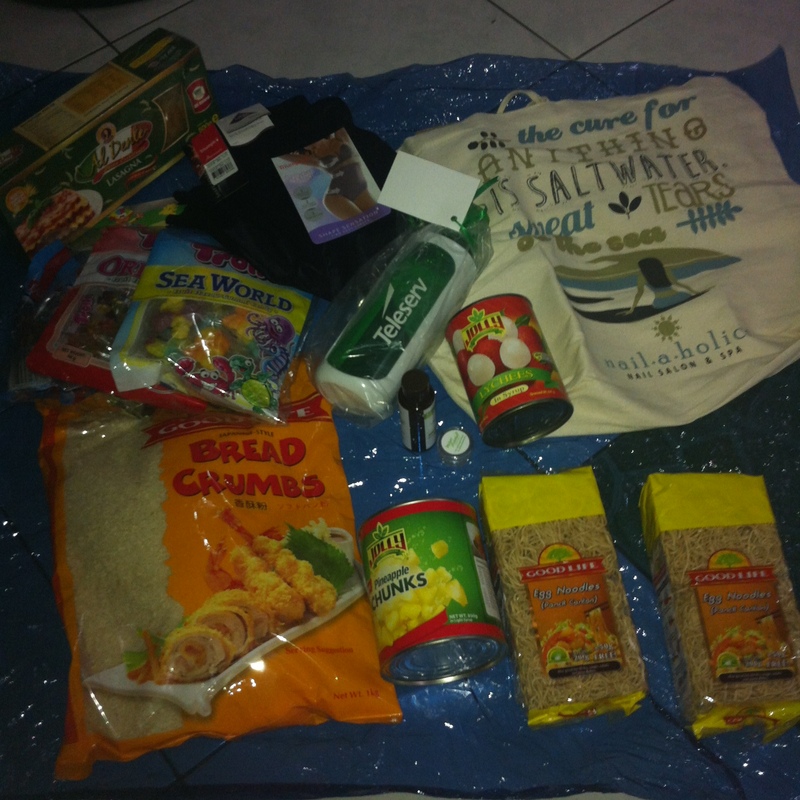 I am thankful to Mommy Lani and all the MBP members who gathered all the presents for everyone. I got used to children party loot bags that carrying a big bag full of good stuff from a party was quite a pleasant change. Super thanks to our caterers : Shekinah Dishes, Kubiertos Catering, The Posh Caterer and Love Desserts. Super sarap ng food! 3. My favorite Christmas presents : NEW FRIENDS! I am so happy to have finally met the mommies behind the blogs that I read. Meeting these inspiring women in person and talking to them face to face was definitely a welcome change from our blog comment exchange exercise. It was a pleasure meeting all of the mommy bloggers present in the party but here are the ones I can consider my new found friends and I'm hoping to get to know them better this coming year. My list is getting longer. Thanks to all my NFF's who have made this blogging journey more meaningful! 4. 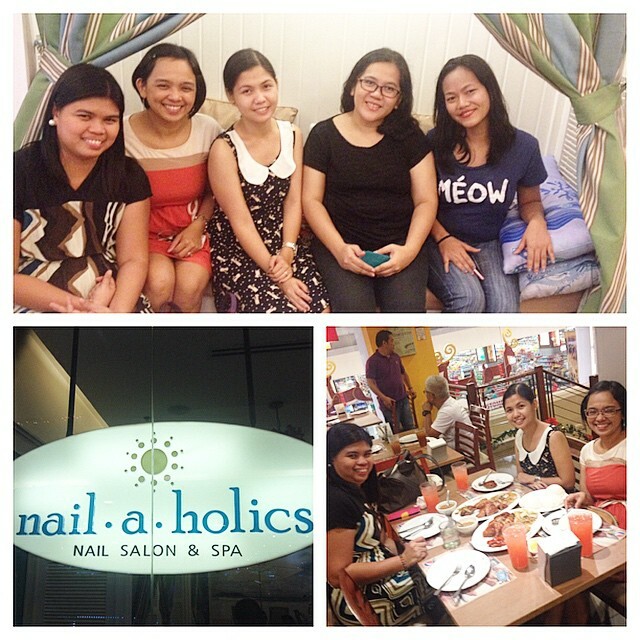 Post- MBP Party Nail Spa Bonding with my NFF's! 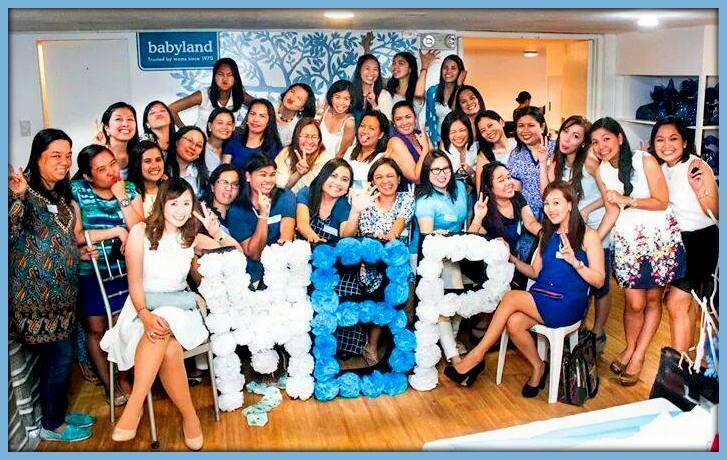 Mommy Bloggers Philippines has a South Chapter! We were so excited to use the gift certificate from Nailaholics that we immediately scheduled another Christmas get together. Thanks May for giving me your GC! We really enjoyed this spa bonding and we're now planning more bonding activities next year. Love you, mommies! Alam niyo na 'yun! 5. Looking forward to a stronger and bigger MBP community in 2015! May our blogging journey this 2015 be more meaningful, inspiring and fulfilling as this year. May our voices be heard as loud as these paputoks and torotots that I'm hearing as I write my last blog post for this year. 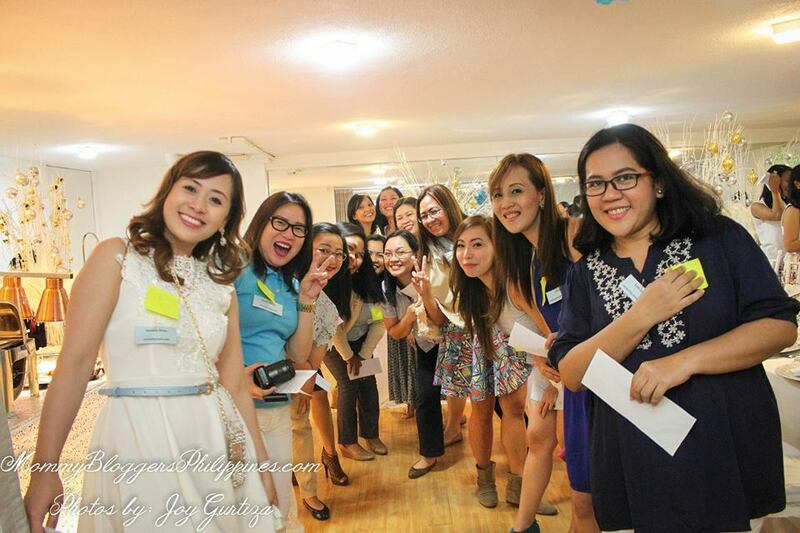 More power to Mommy Bloggers Philippines! you were lovely! :) looking forward to 2015 with you, mommy Nadia! Aaaaw...thanks, May! Happy new year to you and your family. Kitakits soon! Exciting ang 2015 dahil sa inyo, mga NFFs ko! Happy new year, Lally! I love your humility and sincerity! More chikahan and learning moments para sa ating lahat this year. One of the highlights of the party for me was meeting all of you! Looking forward to all our activities this year! I am new to MBP and I can feel the excitement upon reading your story. Thanks for sharing. 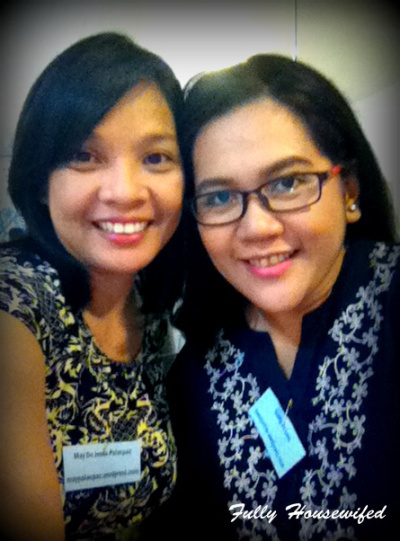 It's always nice to meet new people in the blogging community, especially fellow moms. This was one party I regretted not attending. I hope I can join this year.